Calling all clients! Are you an active Facebook user? Have you stopped by our Sew What? Inc Facebook Page to like and follow our posts? 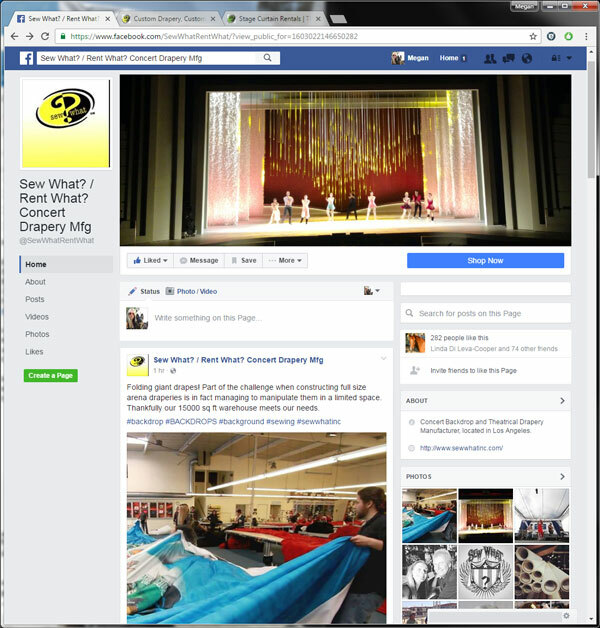 With headquarters and production facilities in Rancho Dominguez, CA, we service a worldwide clientele who know that when there’s any question about finding the best custom-sewn theatrical drapes, as well as how to support American-made products, Sew What? is the answer. And don’t forget, if you need to rent it that we can help you with that too! Please visit the Rent What? 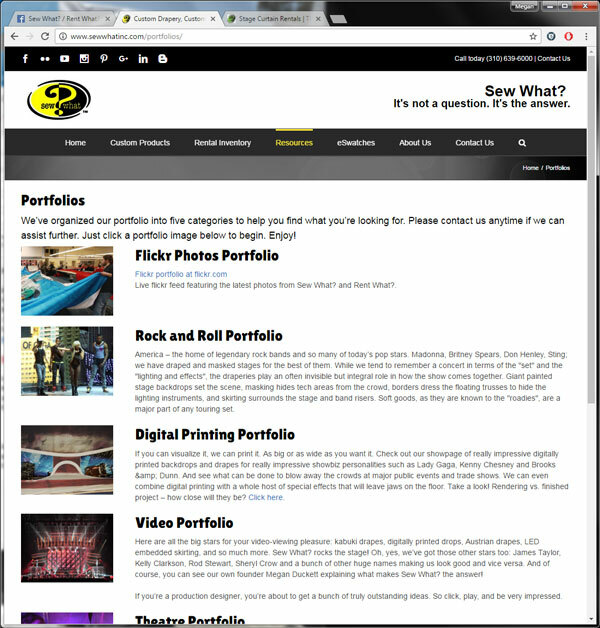 section of our website at https://sewwhatinc.com/rent-what-inc/. We truly love when our rental drapes seemed to have been perfectly and exactly built for our client’s special and unique venue spaces. Almost like they were made just for them! This summer we were honored to have some of our 12’h x 10’w Silver Textura Austrian Zip-Walls utilized on the main stage at Saint Rocke in Hermosa Beach. This venue has a huge assortment of different genres of music played live there on a daily basis, so they needed something that would be versatile enough to work behind rockin’ punk bands, soulful solo vocalists, stirring indie groups, and everything in between. AND it would have to also work within the confines of the space available, around corners, and not be too bulky or take up too much stage space, either. 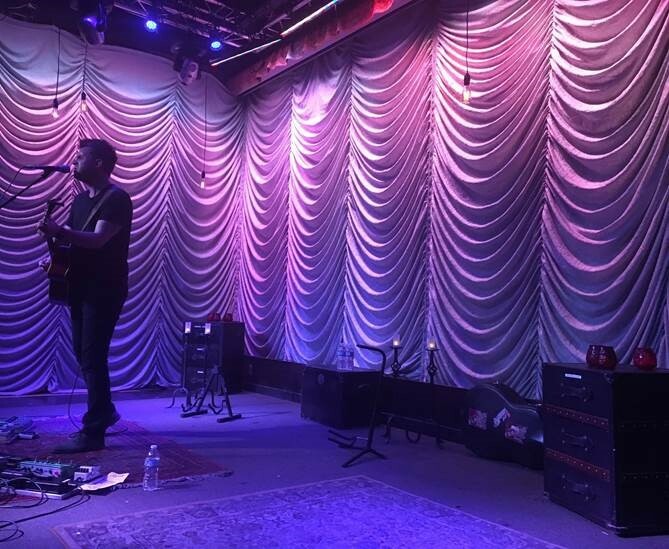 Working with our owner Megan Duckett (who has personally played at this venue numerous times) they decided the ideal arrangement would be to have them hang some of our sturdy and impeccable Silver Textura Austrian Zip-Walls along the back wall to their main stage. As you can see the textured fabric of these gorgeous drapes reflects the theatrical stage lighting splashed onto it with as much drama and excitement as can be imagined. Plus, the smaller size of these drapes, both in height and width, enabled them to work in this smaller venue beautifully, and by zipping them together, they are able to create as wide a space as you would need for your own unique event space. 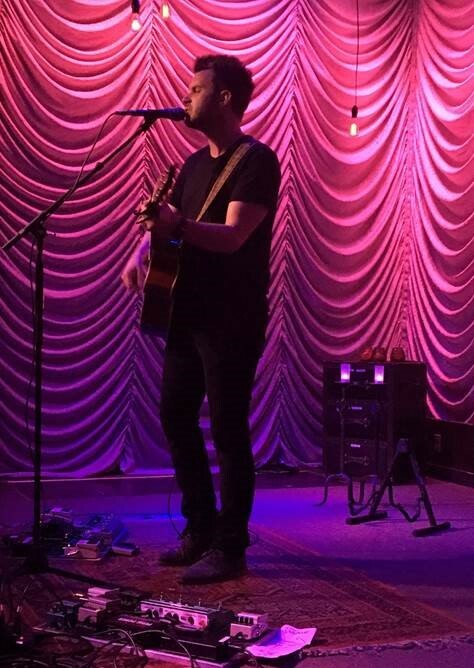 These stunning photos taken by super fan Michelle Mora really helped demonstrate that the lighting designers at Saint Rocke were able to accent the mood of this energetic yet soulful artist from song to song, all with a simple change of backsplash color. And in doing so, they were able to truly boast the warm, earnest, and heartfelt musical stylings of not only this inventive solo artist Howie Day, but also with all of the other eclectic mix of artists and musical groups that performed there all summer long. Sometimes it’s a match made in heaven with our rental draperies and our clients, and this was absolutely one of those times! 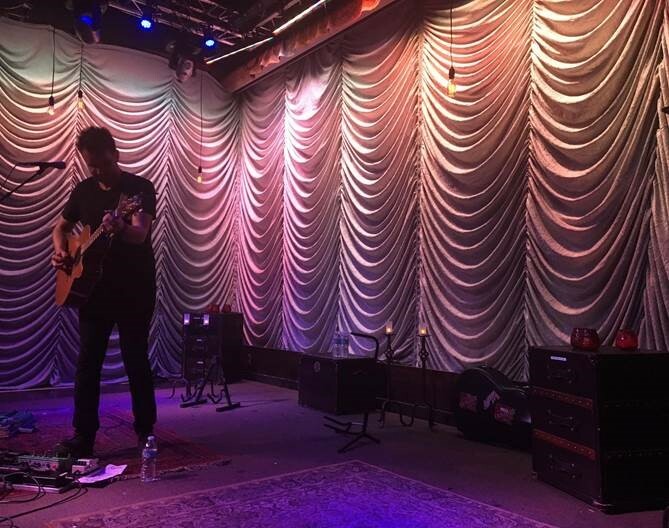 We were thrilled to have provided this wonderful local venue some fantastic stage drapes to genuinely showcase each artist or band’s own individual style perfectly. Let the representatives at Sew What?/Rent What? 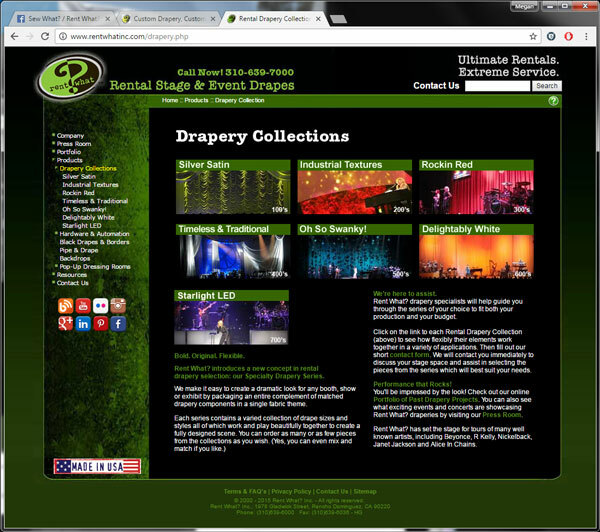 Inc. help YOU find the perfect drapes for your next special event or concert, too!